Bring out the true diva in you and reinvent your true self. 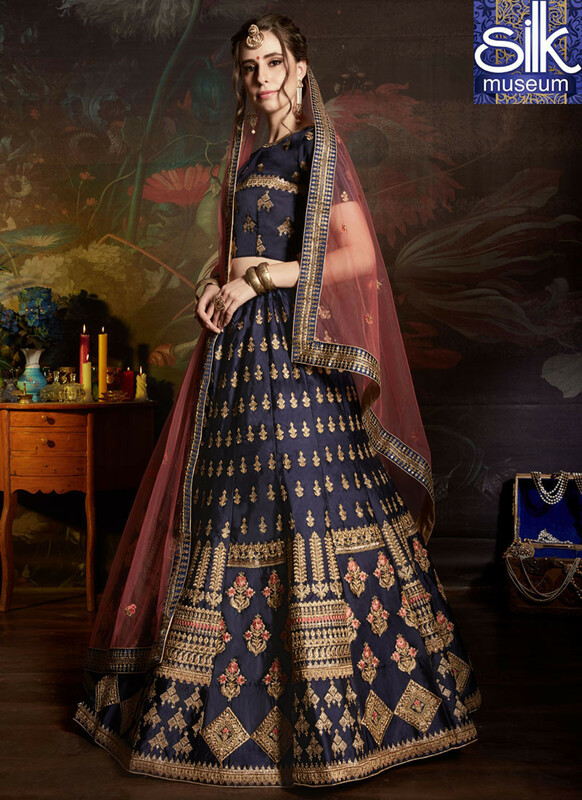 Look stunningly beautiful in this navy blue satin lehenga choli. This lovely attire is looking extra beautiful with embelishment of embroidered, lace, resham and zari work. Comes with matching choli and dupatta.